In our fast-paced modern society where everything and everyone is on the go, a reading tablet comes in handy for us bookworms. As electronic reading devices start to dominate the market on a global scale, different types of tablets are emerging from the industry. Several aspects were taken into consideration, and here is a list that features the three best tablets for reading in 2019. Our smartphones and tablets can do most anything we require them to, so why do we need the best tablet for reading? Well, for starters, these tablets are specifically designed for reading and don’t release the same amount of radiation as the typical smartphone or LCD device. The “e-ink” is easy on the eyes and provides a reading experience very comparable to an actual book. Additionally, the best tablets allow you to bring hundreds if not thousands of books with you without any additional baggage. Here is a list of our top three tablets for reading in 2019. Available in graphite or champagne gold, Kindle Oasis is a global bestselling reading tablet because of its high specifications working towards convenience and usability. 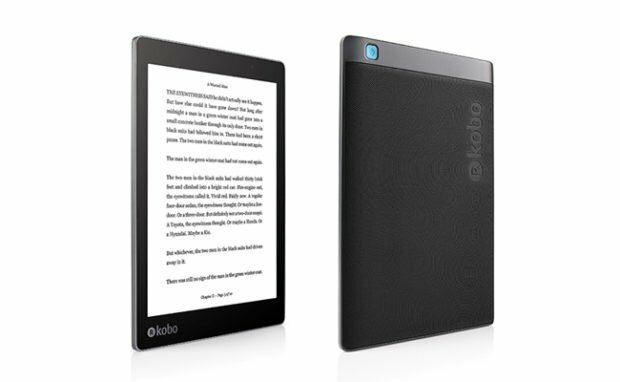 With the largest screen size of seven inches, and a screen resolution of 300 PPI, this option comes equipped with a large library of ebooks that can be downloaded from the Kindle store.The Wifi and 3G connectivity allows the user to share their reading interests across multiple platforms. Purchased books can be viewed offline when downloaded into the device’s 8-GB memory. Its refined screen resembles actual paper, and removes any glare from any type of light exposure. This tablet is the first waterproof model by the brand, and it can last up to about an hour when submerged. This feature makes the tablet perfect for those who want to read while living a wild adventure. Ergonomically designed, the tablet is thin, light, and equipped with physical page turn buttons. The adaptive backlight is soft on the eyes and allows the reader to delve into their literature late into the night. Through its access to Audible, Kindle Oasis also allows access to the world’s widest array of audiobook selection. With the Bluetooth pairing feature your favorite stories are available on all of your digital platforms. It may be a bit pricey, but Kobo Aura ONE’s several high tech features and options make every penny count. Considered as the best tablet for reading graphic novels and comics, the device supports more types of files than the typical reading tablet. Kobo Aura ONE reads EPUB, PDF, MOBI, TXT, HTML, RTF, CBZ, and CBR files. OverDrive, a digital library rental service that distributes ebooks and audiobooks, is pre-installed into the device’s operating system. With its 8-GB memory, 1 GB of RAM, 300-PPI resolution, and 7.8-inch screen display, the reading tablet can store and flawlessly render graphic novels and comics of large sizes. It also comes with an e-ink display and blue-light night reading adjustment that allows comfort when reading in darker environments. The light is designed to be sensitive on the eyes so you can read for hours on end. On top of everything, Kobo Aura ONE is also waterproof IPX certified. Additionally, a battery backup is included that can run for weeks on a single charge. Carefully crafted and designed for ergonomical purposes, the Lenovo Yoga Book, weighing less than two pounds, is one of the world’s slimmest, thinnest, and lightest tablets. Aside from its lightweight form, what makes it more efficient as a reading device is its e-ink technology that displays high visibility and high contrast content. Paired together, these provide the best user experience possible. Sporting an ultramodern minimalist exterior that resembles a physical book, the Lenovo Yoga Book is a 2-in-1 device that is a hybrid of tablet and laptop. A Halo keyboard is one of the key elements of the device–its versatility allows the users to easily utilize or tuck away the device when required. Whatever the device lacked in its weight was made up for in its features. It is equipped with a 2.4-GHz Intel Atom processor and 4-GB of RAM that comes with a 64-GB internal memory storage. Users that seek both productivity and convenience will find that the Lenovo Yoga Book is the best tablet for their reading needs. Electronic reading devices have started to dominate the global market. The convenience of a tablet paired with the millions of readily available reading choices make these modern tablets a clear choice for any reader. However, how do we select the best tablet for reading? What are the things to consider? And how do we even know that it is the most suitable tablet for our preferences? Amazon Fire HD 10 Tablet Review: Is Bigger Really Better? Budget. The specifications you require from your desired reading tablet must fall within your personal budget. You should consider what each tablet has to offer and at what price. While the more expensive tablets offer some exclusive features, you can meet almost all of your reading needs with a more affordable device. Type of Screen. Electronic readers feature screens with e-ink that, as stated earlier, makes the visual experience softer on your eyes. After a few minutes of reading you may forget that you are starting at a digital page, and not actual paper. Other e-reader models feature backlit screens with LED edge lighting. This allows you to adjust the brightness of the screen according to your liking. Less expensive models, on the other hand, do not supply this feature, meaning their screens do not illuminate to allow reading under darker conditions. Wi-Fi and/or 3G Connectivity. Reading tablets are equipped with wifi functionality, but not all tablets come with 3G connectivity. E-readers with both connectivities enable users to download and buy electronic books on the go, wherever they are, whenever they need. While this function may be beneficial for the master bookworm, most can meet all of their reading desires with just wifi connectivity.